Play these Flash or HTML5 based online slot machine games provided by Amatic at Top Free Slots. No download required to play the games - just click on the image and wait for the game to be loaded in your browser window. You can play all these Amatic Slots for free or try your luck for real money at sponsored online casinos. You can play classic slots or 5 reel video slots with multiple lines of payout, exciting bonus features, and wild and scatter symbols to increase your winning potential. 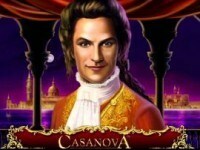 rr If you have ever dreamed of becoming the famous Casanova, this is your chance to do so with this online machine from Amatic. You will get the chance to venture through Venice, seduce high society redheads, blondes, and..
Wild Shark is a 50 payline online slot machine from Amatic. 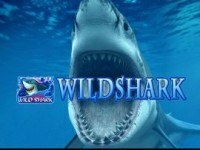 rr If there is a video pokie game that offers you numerous opportunities to win, then after your play Wild Shark free slot by the Amatic.. This is a 50 payline slot machine developed by Amatic. 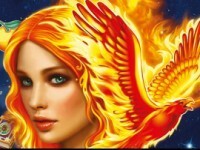 rr Greek mythology themed, free Arising Phoenix is a slot machine designed by Amatic industries. 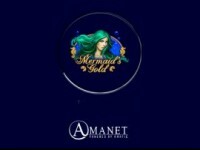 Taking into account a famous mythological..
Winning symbols on this underwater treasure themed slot game include 5 different Mermaids, Starfish, Seashells, Rocks, Seahorses and Purple Dolphins. MERMAID wearing the crown is wild here. The game offer 4 different.. This is a 40 payline online slot machine from Amatic. 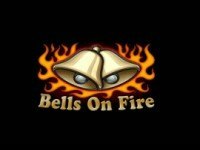 rr The free Bells on Fire slot by Amatic is a modern version of the retro-styled pub penny game from the 1980's and 1990's. 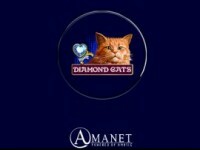 It has 5 reels..
Diamond Cats is a 20 payline slot machine developed by Amatic. rr The free online Diamond Cats slot machine is a game developed by Amatic for feline lovers. In the world of this animal-themed online.. This is a 10 payline slot machine game created by Amatic. rr The gamble is an adventurous, bright and fun machine that gives you entertainment packed with possibilities of big wins. It represents.. 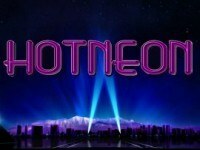 Hot Diamonds is a 10 payline online slot machine from Amatic. 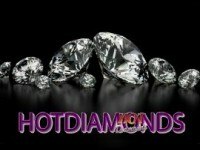 rr Play Hot Diamonds free slot to obtain gold and precious jewels. Developed by Amatic, this game does not have a storyline. You just need..
Roman Legion is a 5 payline slot machine game created by Amatic. 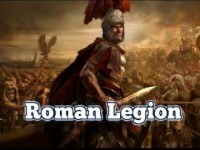 rr The great Rome and its Legions are calling you to play Roman Legion free slot game developed by Amatic. This modern pokie contains 5.. The time for war and battle has begun, and you are here to help the admiral reign supreme among his enemies in this new slot. There are 5 reels and 10 paylines ready to be taken control of. Your plan to align the..
Book Of Fortune is a 10 payline slot machine developed by Amatic. rr The Book of Fortune will award you for your efforts in gaming. The fantastic gamble involves rescuing a beautiful girl who is captured.. This is a 10 payline slot machine game created by Amatic. rr Playing free online Hot Scatter slot machine game by Amatic is like looking back to the origin of machines since it features lots of.. Hot Star is a 10 payline online slot machine from Amatic. rr The free online Hot Star slotÂ machine by Amatic is another retro symbol slot game in the company's catalog. Here, a bettor will not.. 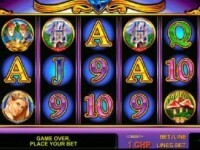 This is a 10 payline slot machine developed by Amatic. rr Play Wild Stars free slotÂ for fun. It lets you chase huge jackpots for spinning retro symbols. It has enormous intent prizes of up to..
Blue Dolphin is a 5 payline slot machine game created by Amatic. rr The Blue Dolphin free slot is Amatic developer's 5 reel 5 fixed paylines game. The Blue Dolphin slot machine depicts a simple ocean.. This is a 5 payline online slot machine from Amatic. rr The free online Hot Seven slot machine is video game developed by Amatic Industries. It has 5 reels with 3 rows and 5 paying lines that..